Hot Melt deicer blend is a premium snow and ice melt solution designed especially for sidewalk maintenance in the extreme winter temps of locations like Washington DC, Baltimore, Maryland, Virginia, Delaware, Pennsylvania and West Virginia. With its fast melting action, long residual effectiveness and cold temperature performance, Hot Melt deicer blend is an outstanding ice melt option for sidewalk maintenance. 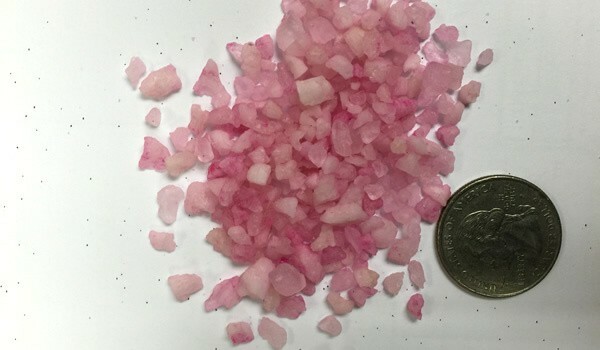 Hot Melt is composed of 80% Sodium Chloride and 20% Magnesium Chloride. 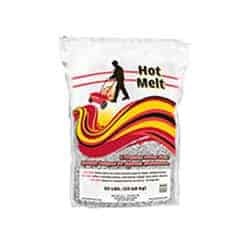 Hot Melt deicer contains a unique blend of high performance ice melting chemicals (sodium chloride and magnesium chloride), that when combined, produce a superior ice melting product. Hot Melt melts ice more quickly and at lower temperatures than other ice melt blends. It also offers residual action, and works longer than other deicers. Hot Melt works longer & at lower temps!